Project constructs 162,924 sf of educational buildings to replace the existing High School, which was built in 1964. 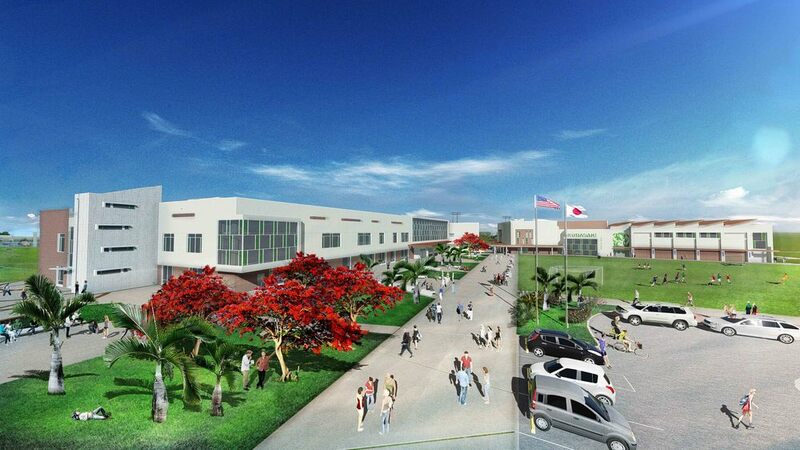 The school will serve approximately 700 students, from Grades 9 to 12 and will incorporate the new Department of Defense Education Activity (DoDEA) 21st Century Education Facilities Specifications. The new two-story reinforced concrete structures will include Learning Studios, Learning Hubs, Exploratory Learning Spaces, (multi-purpose) Commons area, Full Service Kitchen, Gymnasium, Information Center, Administrative Offices, Counseling Offices and miscellaneous support spaces. 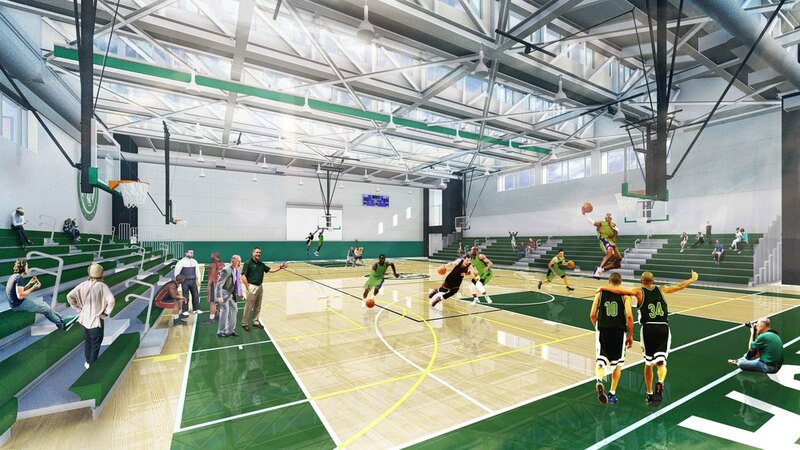 Other project elements include a renovated football/track/soccer stadium, new baseball field, softball field, and soccer field with new field turf. This phase of the project addresses the following: DODEA’s 21st Century Education Facilities Specifications, functional relationships, phasing, constructability, budget, environmental impact, DoDEA Education Facilities Specifications, US Green Building Council Leadership in Energy and Environmental Design (USGBC LEED) requirements, and Anti-Terrorism/Force (ATFP).